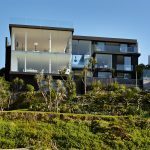 An exclusive waterfront location set on the canals of the Gold Coast provided plenty of inspiration for interior designers Judy Elliott and Jess Bandiera of Verandah House. Homeowners Sandy and Shannon were definite with their brief to the designers: no bright colours, lots of white with rustic timbers, earthy tones, interesting pieces and textures. The result? 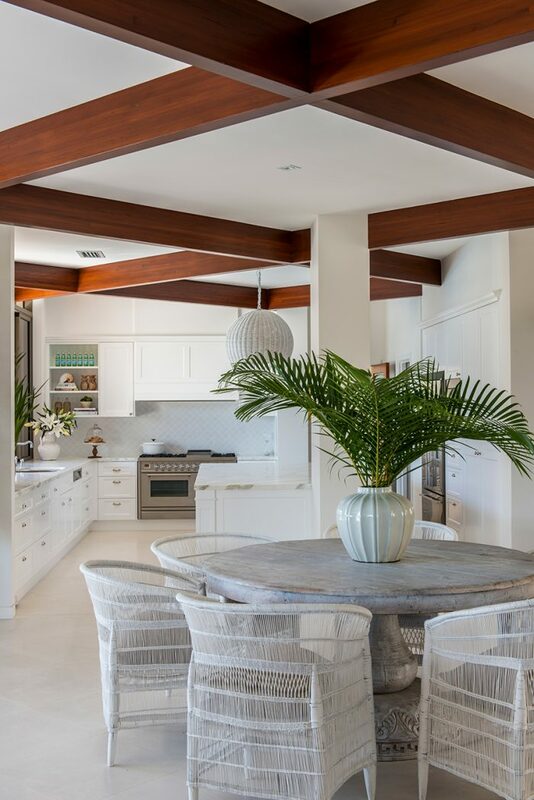 A warm and inviting family home with a distinct coastal feel. 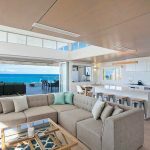 Through the use of layering textures in neutral tones, the entire home embodies a luxurious tropical retreat. 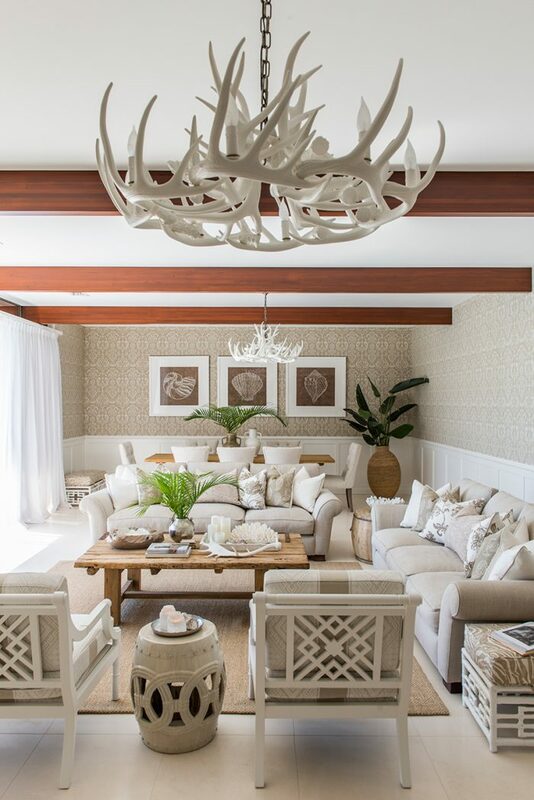 Layers of weathered coral pieces, feathered African headdresses and two horn-like pendant lights create interest, while the hand painted seagrass wallpaper in the bar and master bedroom give a unique, sophistication to the home. 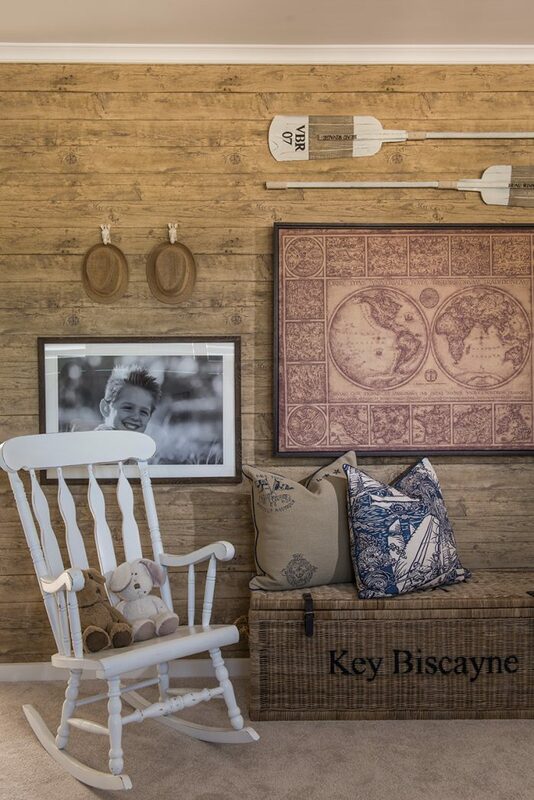 Faux timber panelling wallpaper in the kids playroom/dressing is a stylish alternative and perfect for Oscar and Hugo in years to come. It’s an enviable playroom if we’ve ever seen one! 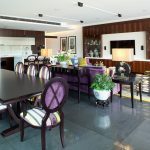 The wine cellar is by far the favourite room for entertaining and it’s clear to see why. 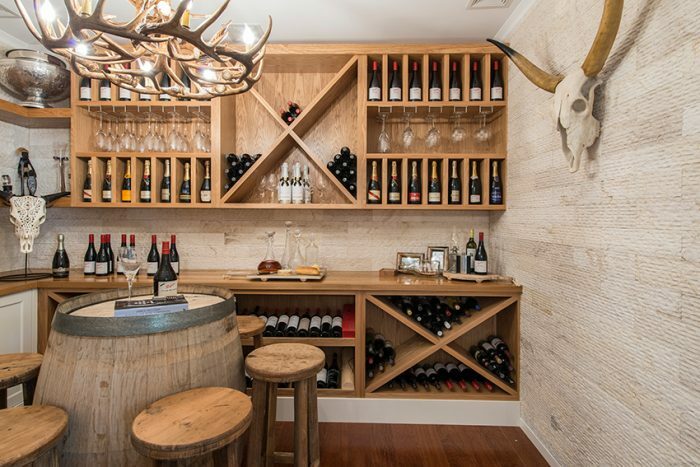 Using a wine barrel for a table is inspired and the timber bar stools complement the rustic tones and textured wallpaper. Saturday night in just looked a whole lot better. 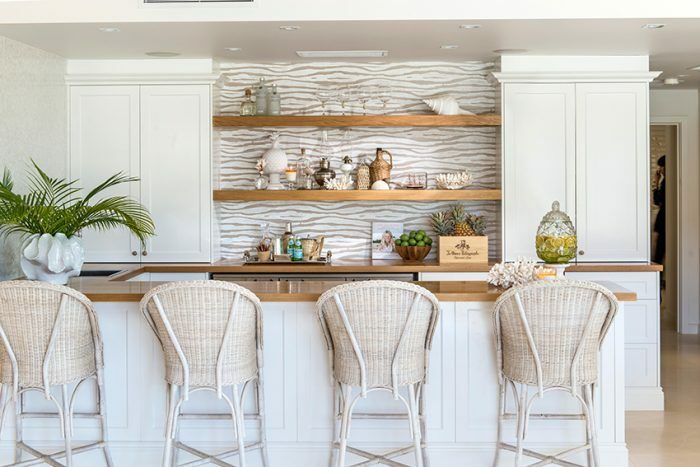 This Gold Coast home is the epitome of resort-style luxe. Follow Queensland Homes on Twitter, Facebook, Google+ and Pinterest. If you haven’t grabbed a copy yet you can get the digital edition now or the print copy (free postage in Australia).